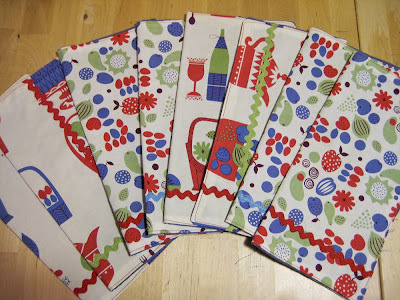 Jenny Jen42: New Cloth Napkins..jennyjen going green! 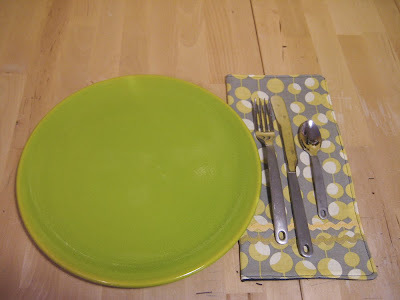 New Cloth Napkins..jennyjen going green! 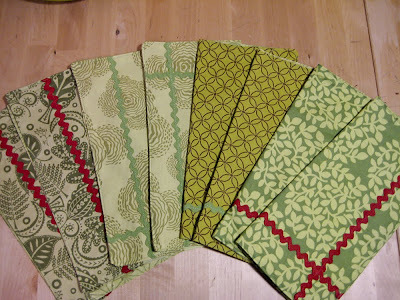 I've been really stressing over how I can go more green...and thanks to Trixie Palace's Andriana Pateris's great idea...cloth napkins with my favorite fabrics, rick rack and recycled fabric backings! 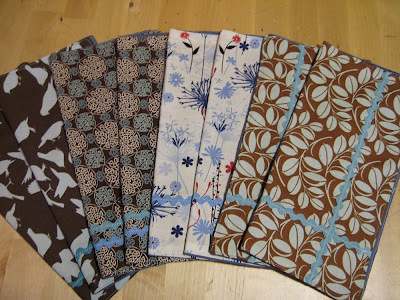 They will be debuting this weekend at Crafty Bastards for $6 a piece or 4 for $20! Hope to see everyone there! Rain or shine! I will list my left overs in the shop next Monday! These are beautiful... 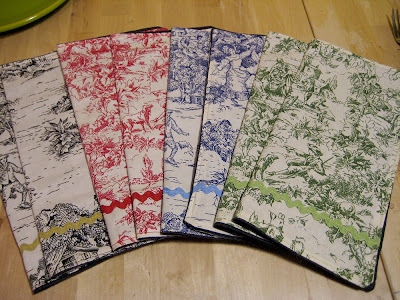 I may need some of the toile ones just shhhh don't tell my hubby as we have a half bushel basket overflowing with cloth napkins!